“…George Gerald Reisman (born January 13, 1937) is Professor Emeritus of Economics at Pepperdine University and author of Capitalism: A Treatise on Economics (1996). He is also the author of an earlier book, The Government Against the Economy (1979), which was praised by F.A. Hayek and Henry Hazlitt, the contents of which are mostly subsumed in his lengthy treatise, Capitalism. In Capitalism, Reisman seeks to achieve a synthesis of the British Classical and Austrian Schools of Economics, uniting the doctrines of Adam Smith, David Ricardo, James Mill, and John Stuart Mill with those of Carl Menger, Eugen von Böhm-Bawerk, and Ludwig von Mises. Reisman was born in New York City and earned his Ph.D. from New York University under the direction of Ludwig von Mises, whose methodological work The Epistemological Problems of Economics Reisman translated from the German original into English. He is an outspoken advocate of free market or laissez-faire capitalism. 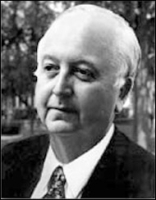 In the 1980s, with his wife, Edith Packer, J.D., Ph.D., he organized The Thomas Jefferson School of Philosophy, Economics, and Psychology, which held several conferences and seminars. Its lecturers included Leonard Peikoff, Edward Teller, Petr Beckmann, Hans Sennholz, Bernard Siegan, Anne Wortham, Robert Hessen, Allan Gotthelf, David Kelley, John Ridpath, Harry Binswanger, Edwin A. Locke, Walter E. Williams, Mary Ann Sures, Andrew Bernstein and Peter Schwartz. Attendees of these conferences include later Objectivist writers Tara Smith and Lindsay Perigo. Reisman was a student of Ayn Rand, whose influence on his thought and work is at least as great as that of his mentor Mises. He identifies himself as an Objectivist, though he is no longer affiliated with the Ayn Rand Institute due to a falling out with some of its senior members, particularly Harry Binswanger and Peter Schwartz.